Our office is approved to deal with ICBC claims. injuries like back pain, whiplash, and seat-belt rib injuries. Welcome to Clearbrook Chiropractic Clinic! Our clinic has three chiropractor: Dr. Brad Gueldner, Dr. Dana Gueldner, and Dr. Morgan Gueldner. Dr. Brad graduated from the Canadian Memorial Chiropractic College in 1994, Dr. Dana in 1995, and Dr. Morgan in 2014. 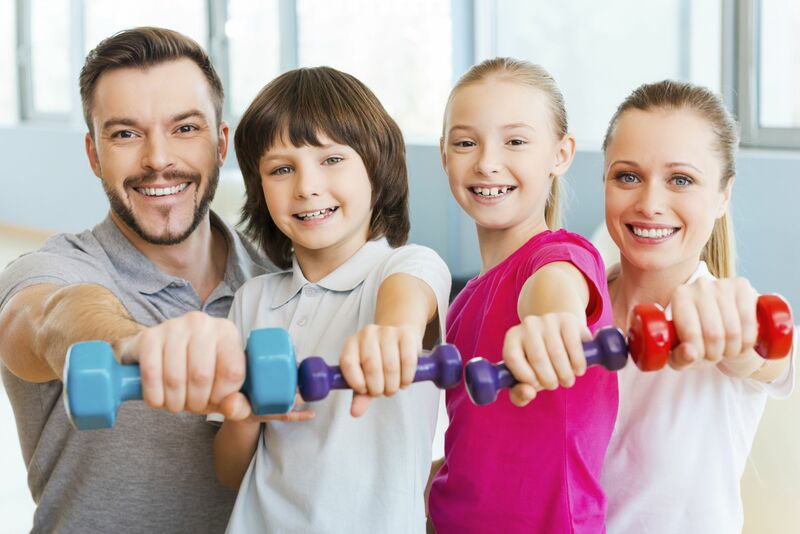 We are a family of chiropractors with a focus on treating families in our community. We have been serving the Abbotsford community for over 20 years by bringing high quality, patient-centered chiropractic care to the downtown area. The clinic’s emphasis is on creating a warm friendly environment and helping you get back to feeling normal and pain free. Clearbrook Chiropractic Clinic is a family clinic that sees a wide range of individuals from newborns to retirees. We pride ourselves on having a first name relationship with many of our patients and partnering with you to help you achieve your health goals. Our clinic primarily uses manual chiropractic techniques, but is also trained to use instrument and table assisted chiropractic techniques. We adapt our techniques to treat a variety of patient including: pregnant women, newborns, kids, athletes, and seniors. Our clinic is equipped to deal with ICBC claims, WorkSafeBC claims, MSP coverage, RCMP, and Veteran Affairs. We utilizes various modalities including: ultrasound, flexion-distraction therapy for sciatica and arthritis, muscle release therapy, custom orthotics, and sport kinesiology taping. Our clinic has two Registered Massage Therapists (RMT): Paige Gueldner and Melanie Gulbransen. Paige graduated in 2017 from the West Coast College of Massage Therapy. She has a wide knowledge of orthopedic conditions, having worked with the UBC varsity team, pre and postnatal mothers, and patients in GF strong- the largest rehab hospital in British Columbia. Paige is especially good at treating patients with jaw pain (TMJ dysfunction). She has conducted a large case study centered around jaw re-alignment and pain. Paige continues to strive for more knowledge and solutions to help patients. She is passionate about patient centered care and helping you achieve your rehab and therapeutic goals. Melanie graduated in 2017 from the West Coast College of Massage Therapy. She is a recent addition to our team joining our clinic in January 2019. Melanie has a passion for sports therapy and rehab. Her knowledge and experience as an athlete herself, has lead her to work with the BC lions team and Rugby 7. Melanie is excited to add her knowledge of injuries to help patients achieve their ultimate health care goals. With a second massage therapist now available at our office, we are very excited to further reduce our RMT wait times and increase our ability to accept new patients for massage. To bring joy to patients by helping them realize their health goals. To advocate for spinal health, and to help educate, assess, and treat patients by using evidence based care.